A free, illustrated talk on the Bellamy-Ferriday House & Gardens will be presented by Connecticut Landmarks Educator Jana Colacinto at 3:30 p.m. Oct. 13 at the Essex Library. 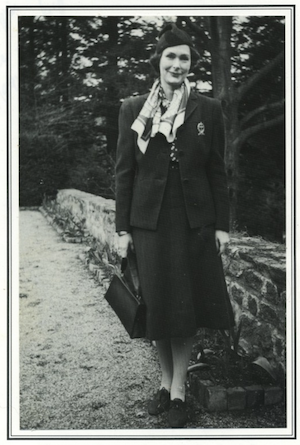 ESSEX — Best-selling author Martha Hall Kelly’s Lilac Girls is based on the true story of Caroline Ferriday’s work as a member of the French Resistance and her interest in the fate of the “lapins” (rabbits) – female political prisoners subject to medical testing at the Ravensbrück concentration camp. In her debut novel, Kelly transforms the horrors and inhumanities of war into a story of sisterhood and perseverance. 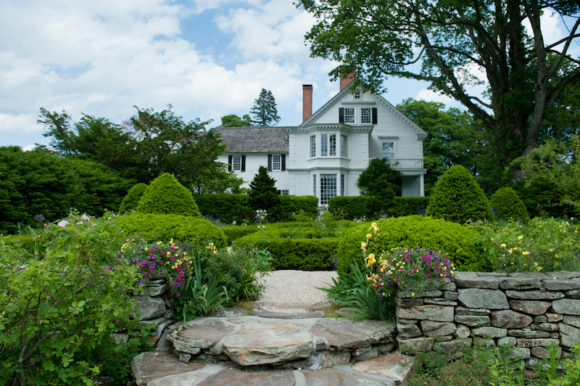 Experience Connecticut Landmarks’ Bellamy-Ferriday House & Garden through an illustrated lecture and discussion with Landmarks’ Educator, Jana Colacino at the Essex Library on Saturday, Oct. 13 at 3:30 p.m. Enjoy a visual tour of the 18th-century historic house, built by Rev. Joseph Bellamy and the five-acre site which includes the 18th century residence, barns, and the historic formal parterre garden installed by Miss Caroline Ferriday, a philanthropist and the final resident of the house, and her mother, Eliza Woolsey Ferriday. While Rev. Bellamy influenced everyday colonial life and preached with religious fervor throughout New England’s “Great Awakening,” Miss Ferriday championed human rights and social justice causes around the globe. Details from the lives of these notable residents will be interwoven with lovely images of site. Martha Hall Kelly’s forthcoming prequel, Lost Roses (2019), set in the World War I era, tells the story of Caroline’s mother Eliza and her fight to help Russian refugees displaced by the revolution. For more information or to register, call Essex Library at 860-767-1560. The Essex Library is located at 33 West Avenue in Essex.